Please note that this is not the 1940 Humphrey Bogart film of the same name. This British thriller concerns one flawed man's attempts at clearing his name. They Drive by Night stars Emlyn Williams as Shorty, a just-released convict eager to reunite with his girlfriend -- whom he finds strangled to death when he reaches her apartment. 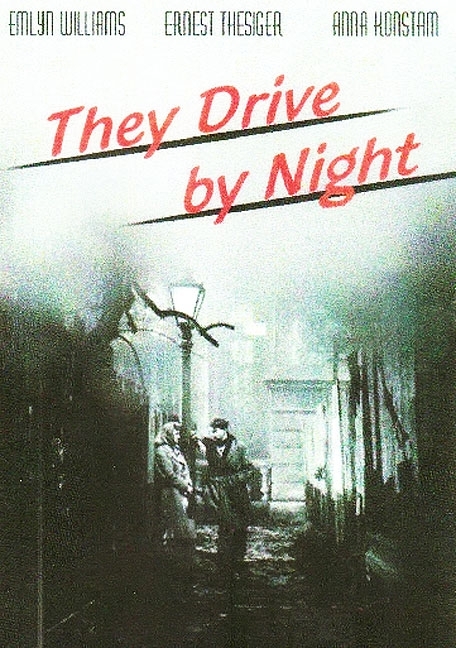 Certain the police won't look favorably upon him should he report the dead body, Shorty enlists the help of ex-girlfriend Molly (Anna Konstam) in an attempt to find the real killer, amidst the intrusions of Walter Hoover (Ernst Thesiger), a creepy forensic criminologist who might know more than he lets on. This was an unexpected fun movie that I knew nothing about. I got it because Ernest Thesiger is such an oddball actor (odd in a good way). He is best remembered for Bride of Frankenstein and The Old Dark House, and here, he is once again very odd and interesting. Emlyn Williams is unknown to me, but did an excellent job as the man on the run. This movie deserves more attention!